Colorado Technical University is also featured in our ranking of the Top 15 Online Master’s in Forensic Accounting. 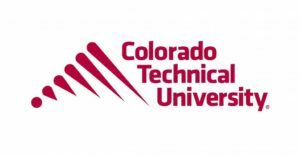 Founded in 1965, Colorado Technical University is a for-profit NSA Center of Academic Excellence ranked 185th nationally by Niche that offers an Associate of Science in Accounting to prepare for entry-level careers crunching meaningful data. Administered by Dr. Tony Lyons, the 93-credit, 24-month FastTrack curriculum breaks fundamental content into 5.5-week modules starting every eight weeks. Quarter-length courses from Algebra for Business to Computerized Accounting and Spreadsheet Applications are accessed in Colorado Springs, Aurora, or entirely online via CTU Mobile. The $30,225 program total could drop up to 30 percent using the Corporate Alliances Grant. Note there’s also a 93-credit Associate of Science in Business Administration for broader workforce leadership prep. Crowned the U.S. News & World Report’s 123rd best online choice, Colorado Tech offers a Bachelor of Science in Accounting at a 28:1 student-faculty ratio in the Business & Management Division for hands-on practice auditing the health of corporate assets. Directed by Dr. Michael Brizek, the 2008 Stoddard Presidential Educator of the Year, this 183-credit degree begins CPA preparation flexibly in Colorado Springs, Aurora, or the Internet classroom. For $59,475 total, undergrads sharpen numerical skills in 400-level courses like International Financial Reporting and Advanced Taxation. The “Military Friendly” school has the Patriot Scholarship for 100 percent of active-duty or veteran tuition plus free new laptops though. Graduates then qualify for the 200-question CMA certification exam. Bestowed the 2018 WCET Outstanding Work Award, Colorado Technical University has a 72 percent retention rate in its Bachelor of Science in Business Administration that’s ranked 495th nationally on College Factual for training global industry leaders with real-life examples. The 180-credit, ACBSP-accredited Intellipath major led by Dr. Paula Offutt features 14 custom concentrations, such as Finance and Data Analytics. Fast 5.5-week courses like Capital Markets, Investments, and International Finance presently cost $325 per credit online or in Colorado Springs and Aurora. Completion comes up to 30 percent quicker for CTU Mobile students who pass FastTrack exams. PayScale reports an average alum salary of $56,572 at Safway Services, CompTIA, Ernst & Young, JPMorgan, Pfizer, and more. Featured in CEO Magazine’s 2017 Tier One, the Master of Business Administration currently has 75 faculty teaching 2,341 Colorado Tech Golden Eagles across 12 in-depth concentrations, including Accounting and Finance, for upper-level executive abilities. Chaired by Dr. Melissa Williams, the 48-credit, non-thesis option suits accredited bachelor’s grads exceeding a 2.5 GPA minimum. For $585 per credit, students finish fast 5.5-week courses like Operations Strategy and Human Capital online or in Colorado Springs and Aurora. The 2017 CCME Institution Award recipients ends the 16-month master’s with a capstone $100 million corporate simulation project. Some continue for the 100-credit Doctor of Management in Organizational Leadership or Doctor of Computer Science in Data Analytics online. Operating in Colorado Springs, Colorado, Colorado Technical University is a for-profit institution that was founded in 1965. The primary focus of the university is the delivery of management, business, and technology-focused degrees at the undergraduate, graduate, and doctoral levels. Virtually all students attending classes at CTU do so online. Students who wish to participate in traditional, on-campus classes can attend the main campus in Colorado Springs or the satellite campus in Denver. The parent company of the university is the Career Education Corporation. There are several schools housed within the university that include the College of Business & Management, the College of Engineering & Computer Science, and the College of Information Systems & Technology, as well as a handful of other divisions. The regional accreditation agency for Colorado Technical University is the Higher Learning Commission. The university must meet a variety of qualifications to maintain regional accreditation. Some programs and schools at the university are also accredited or approved by various official organizations. For example, the Bachelor of Science in Computer Engineering is accredited by the Engineering Accreditation Commission of ABET. The Bachelor of Science in Electrical Engineering is also accredited by the commission. Degree programs in business are also accredited and have been certified by the Accreditation Council for Business Schools and Programs. The school’s bachelor degree program in nursing is accredited by the Commission on Collegiate Nursing Education. The overall university is also authorized to operate by the Department of Higher Education and the Colorado Commission on Higher Education. Admission to Colorado Technical University begins with an admissions interview where the school’s admissions staff will provide information to the student about attending the university, as well as offer advice on whether online classes, on-campus classes, or a hybrid option would suit the student best. Interviews are held on campus or via phone. To apply to the university, students will complete the official application and submit proof of a high school diploma or bachelor’s degree. Some graduate and doctoral programs may also require that the student submit an essay or a current resume. International students must submit evidence of proficiency in English. There are also some extra steps military students, international students, transfer students, and previous students may need to take to complete the application process. Tuition costs for online degree programs at Colorado Technical University are divided by program and subject, and some students may also qualify for some discounts. As an example, the Bachelor of Science in Accounting costs a total of $59,475 for the total cost of tuition while the Bachelor of Science in Business Administration costs $58,500 in all. Most programs also require that students pay a technology fee and a graduation fee. Active duty, Reserve, and National Guard military personnel may qualify for reductions in tuition, so the Bachelor of Science in Accounting would cost a total of $38,430 for military students, and the Bachelor of Science in Business Administration would cost $37,800 for military students. Students may also need to pay for certain types of technology for their classes and purchase computers or software. Obtaining financial aid at Colorado Technical University starts when the student completes a FAFSA form and is awarded a financial aid package by the university. The school offers different types of financial aid for online versus on-campus programs, and students should contact the university’s financial aid department for more information on financial aid options available for the student’s preferred method of study. Not only can a student qualify for federal financial aid, but there are also institutional grants and scholarships available through the university, as well as private student loans and scholarships through private and independent entities. 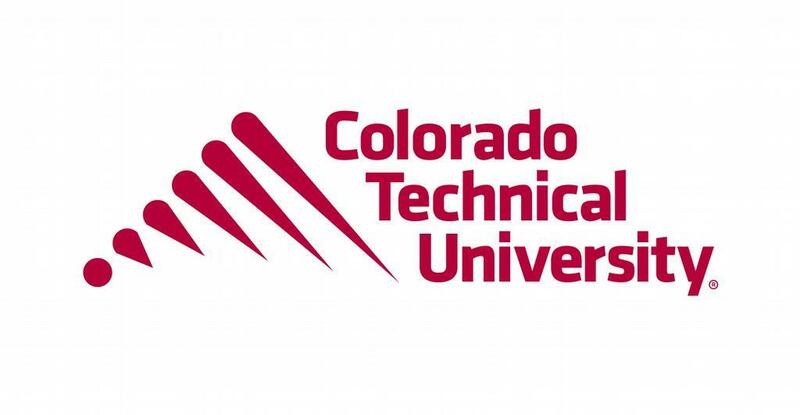 Students interested in obtaining financial aid from Colorado Technical University should contact the financial aid office for more information, as well as have questions ready during the admissions interview.